Dr. Manjula Chellur, CJ.– Heard learned counsel for the petitioner. 2. We have gone through the orders of the Assessing Officer, the revisional authority and the order of the Tribunal. The entire controversy involved in this case is with regard to the exact status of the appellant-assessee, whether it is a co-operative bank or a primary co-operative credit society. 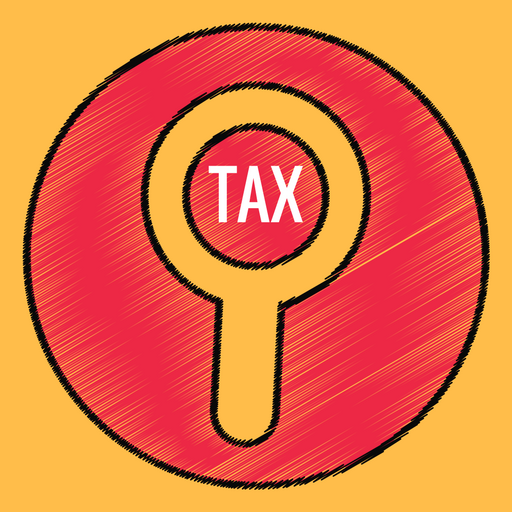 This question arises in the light of the assessee claiming the benefits under section 80P of the Income-tax Act. Once a claim is made under section 80P, necessarily the Assessing Officer has to consider the implications of section 80P(4) with reference to such claim depending upon the nature of transactions conducted by the assessee irrespective of the nomenclature of the assessee. We are concerned with the assessment year 2009-10. After referring to the details given by the assessee in the return of income, the revisional authority issued show-cause notice why the assessment should not be reopened as the orders of the Assessing Officer was not only erroneous but was prejudicial to the interests of the Revenue. Of course, a detailed explanation by way of reply was given by the present appellant. The entire discussion of the revisional authority is directed against the application of mind by the Assessing Officer with reference to the nature of business conducted by the appellant-assessee. It is also not in dispute that the Assessing Officer is required to apply his mind and conduct proper enquiry and also verification at the time of assessment. Lack of this exercise on the part of the Assessing Officer definitely leads to erroneous order, which is prejudicial to the interests of the respondent-Revenue. 3. It is not in dispute the representative of the assessee, who appeared before the revisional authority, had submitted lengthy arguments apart from the written submissions. After considering the entire material in detail, the revisional authority has passed the orders at annexure B. As a matter of fact, the revisional authority narrated the factual situation right from the inception of the appellant-assessee how it got registered under section 10 of the Madras Co-operative Societies Act and why the Banking Regulation Act is not applicable to the case of the assessee. It was also the case of the appellant-assessee that the case of the appellant has to be considered only by looking into the Kerala State Co-operative Societies Act and nothing else. According to them, certificate of registration would indicate their claim and also decide what exactly is the nature of business. The revisional authority was justified in saying, with the introduction of section 80P(4) necessarily, an enquiry has to be conducted into the factual situation whether the co-operative bank is conducting the business as a primary agriculture credit society or a primary co-operative agricultural and rural development bank and depending upon the transactions, the Assessing Officer has to extend the benefits available and not merely looking at the registration certificate by the Kerala Co-operative Societies Act or the nomenclature. On going through the orders of the revisional authority and the Tribunal, we find the reasoning of the revisional authority was not merely based on the name of the appellant-assessee but with reference to the factual situation in relation to an enquiry to arrive at a conclusion whether the benefits can be extended or not in the light of section 80P(4) of the Act. As there was no discussion at all by the Assessing Officer from this perspective, there was justification for the revisional authority to conclude that the order of the Assessing Officer was not only erroneous but prejudicial to the interests of the Revenue. A very detailed discussion giving the reasons why the matter should be reconsidered by the Assessing Officer came to be passed by the revisional authority. After referring to the relevant judgment in paragraph 7 of the order of the revisional authority, the Tribunal has upheld the opinion of the revisional authority. The only apprehension seems to be the Assessing Officer may without applying his mind independently, follow the observation of the revisional authority as expressed by the arguments of learned counsel appearing for the assessee. The revisional authority, no doubt, did observe that the Assessing Officer has to reconsider the matter in the light of the observation made in the order of the revision by which it means what exactly should be the nature of enquiry to be conducted by the Assessing Officer and it does not mean that he has to complete his assessment proceedings after concluding the same similar to the conclusions arrived at by the revisional authority. As a matter of fact, the revisional order is an insight into the nature of enquiry or ascertainment of factual situation to be made by the Assessing Officer and nothing more. 4. We find no erroneous observations made by the revisional authority. However, we direct the Assessing Officer to pass a fresh assessment order after making necessary enquiries as observed in the order of revisional authority, untrammeled by any of the opinions expressed by the revisional authority. 5. The appeal is disposed of with the above observations. This entry was posted in Section 263, Section 80P and tagged 363 ITR, deduction u/s 80P, In favour of Revenue, Kerala High Court.